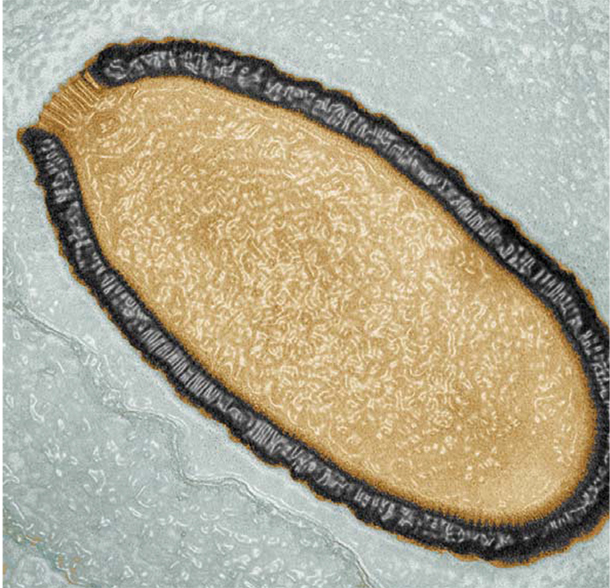 Experts say long-gone viruses could re-emerge because of mining and drilling in cold climates. A 30,000-year-old giant virus has been revived from the frozen Siberian tundra, sparking concern that increased mining and oil drilling in rapidly warming northern latitudes could disturb dormant microbial life that could one day prove harmful to man. The latest find, described online Monday in the Proceedings of the National Academy of Sciences, appears to belong to a new family of mega-viruses that infect only amoeba. But its revival in a laboratory stands as “a proof of principle that we could eventually resurrect active infectious viruses from different periods,” said the study’s lead author, microbiologist Jean-Michel Claverie of Aix-Marseille University in France. “We know that those non-dangerous viruses are alive there, which probably is telling us that the dangerous kind that may infect humans and animals — that we think were eradicated from the surface of Earth — are actually still present and eventually viable, in the ground,” Claverie said. With climate change making northern reaches more accessible, the chance of disturbing dormant human pathogens increases, the researchers concluded. Average surface temperatures in the area that contained the virus have increased more steeply than in more temperate latitudes, the researchers noted. Claverie’s co-author, Chantal Abergel, nonetheless cautioned that their finding is limited to one innocuous virus infecting an amoeba. “We cannot definitely say that there are some human pathogens in there,” she said. Claverie’s laboratory was behind the discovery, in Chile, more than a decade ago, of the first giant DNA virus, dubbed Mimivirus. They next identified a far larger virus of an entirely different family in 2011, dubbing it Pandoravirus salinus, in homage to the mythical Pandora’s box that first unleashed evil on the world. This time, they used an amoeba commonly found in soil and water as bait to draw out a virus from a Siberian permafrost core that had been dated to 30,000 years ago. The finding described Monday looked like another Pandora, except it was 50 percent larger. “Giant” in virology is still pretty tiny. A virus of one micron in size, or a thousandth of a millimeter, is considered huge. That’s big enough to be seen with a normal light microscope. The human immunodeficiency virus, or HIV, measures one tenth of a micron. The genome of the newly described virus, however, contained only about a quarter of the number of paired DNA building blocks as Pandora, and the prevailing type of these base pairs was similar to the kind that dominate the Mimivirus genome. Researchers kept with the ominous mythological theme and dubbed their find Pithovirus, from the Greek pithos, the type of amphora, or jar, that Pandora opened (it was not a box, after all). Pithovirus still has an unusually large genome — 600,000 base pairs, which the researchers predict would include genes that code 467 proteins. The genome of Pandora virus contains more than 2.8 million base pairs and about 2,500 coding genes. For comparison: the tiny HIV retrovirus has 9,749 base pairs and nine coding genes; the virus that causes mononucleosis has about 172,000 base pairs and about 80 genes. Nonetheless, the study further challenges the notion that viruses can be fully eradicated, Christner said. The genome described in the study, he noted, encodes 125 proteins involved in transcription, DNA repair and replication. The researchers plan to re-examine large viruses that have been mistaken for bacteria in the past — one such specimen, found in 2008, had infected an amoeba living in a 17-year-old’s contact lens solution. They also plan to look more deeply into the Siberian ice cores. “We have a sample that dates to 3 million years old,” Abergel said. Those samples could harbor ancient forms of relatively modern human pathogens, including smallpox, which was rampant in Siberia. Fragments of a smallpox virus, for example, have been identified in Siberian mummies dating from the late 17th century. “I would not be surprised that those viruses are still in the ground,” Claverie said.